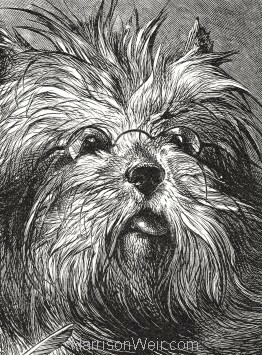 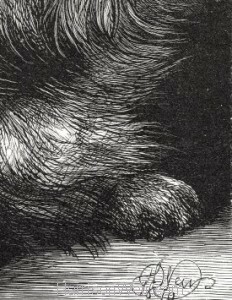 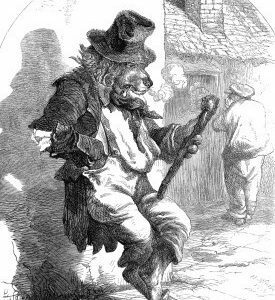 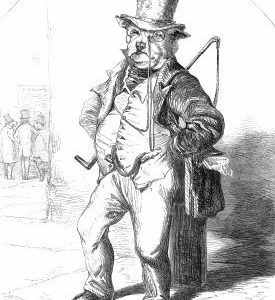 A light-hearted engraving entitled “The Skye Terrier”, depicting the dog wearing a pair of spectacles and laying near an ink well, looking most studious. 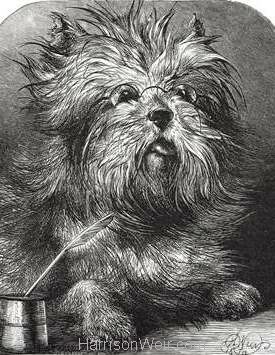 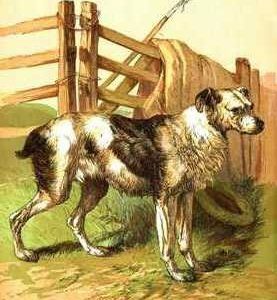 Several of Harrison’s friends bred Skye Terriers, including Charles Lane, the celebrated author of “Dog Shows and Doggy People”. 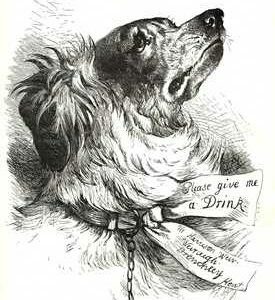 This image has appeared in several publications over time, but this one is taken from an 1873 edition of “The Aldine” magazine. Although not large, the detail is such, that it allows us to reproduce it clearly in A4, A3 and A2 sizing options.